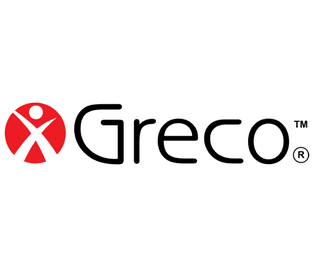 The “Greco Method” is minute for minute the most effective functional workout on the market. Last night, I trained at Greco Orléans. Only two words are needed to describe my experience: ''muscle fatigue''. My muscular endurance and my cardiovascular ability were put to the test. I tried their flagship workout. 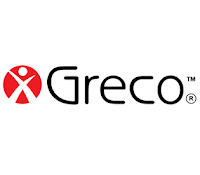 The Greco Lean and Fit is the workout to try if you want to improve your health. 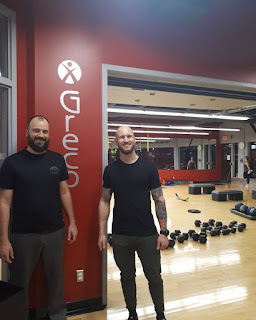 Upon entering, I was immediately greeted by Greg, the Lead Trainer and Director of Programs. He gave me a tour and explained the workout for the night. I quickly realized the camaraderie of the trainers as they laughed and joked together. They were in constant communication with their members making all of us feel welcome. There was a good vibe that's for sure. We had to do three rounds of 8 exercises during the workout. We worked on our hamstrings and obliques during the first two exercises. After that, we did some one-legged squats followed by push-ups on a medicine ball. We then worked on our core strength. We did some rows with dumbbells. Lastly, we did bear crawls and worked on our quick feet with a hurdle. WE DID THAT THREE TIMES! What a workout! That's not all. In between each round, we did a few AMRAPs (as many rounds as possible) for 2-3 minutes. Don't worry, coach Greg was good at modifying some of the exercises I had problems with. Everybody is pushed to their limits and capabilities. Even though we worked extremely hard, the members had a smile on their face. They knew that it was worth it to give it their all. Coach Greg was a good motivator and made us do over a dozen different exercises. The workout was varied and interesting. Good job Coach Greg! You've got something good going on at Orléans Greco. I had a great morning today. My wife and I brought our 3 y.o. to the Cumberland Farmer's Market. We ate food made from scratch. We played at the park. I then participated in a mobility class at Crossfit Actus. The mobility class is heavily inspired by Kelly Starrett's work. Kelly Starrett is the author behind the New York Times and Wall Street Journal bestseller book Becoming a Supple Leopard. 9Round Kickbox Fitness in Orléans was amazing! It's an easy 30 minutes to plan in your night and you achieve muscle fatigue very quickly (which is good). You have to accomplish 9 rounds of 3 minutes of a variety of fitness, boxing and kickboxing exercises. After 30 minutes, you've worked on your agility, muscular strength and endurance all while having fun. I completed my 10-day pass. I managed to visit 4 times. I really enjoy their late hours (they're open until 8:30 pm M-W). It's hard to find a non-Movati-GoodLife gym that is opened that late. I don't like missing out on family time so the only time I want to train is during my toddler's nap time or when she's sleeping at night. 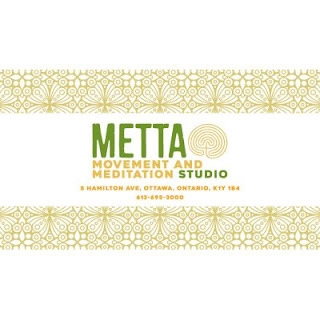 Why is this place called Metta? One of the most beloved or popular meditation practices is the Metta. It is the practice of wishing good health, tenderness, happiness and well-being on yourself and others. After 15+ years as a yoga teacher, Janet decided to step outside the studio walls into nature to expand her movement repertoire and knowledge. She has since trained in MovNat, Restore Human, Animal Flow, Wild Fitness and Wild Health and opened the studio to offer an indoor/outdoor space for others to explore this new and innovative movement revolution taking place across the globe. As important to her as movement is meditation, and she believes healthy minds are as essential as healthy bodies. Her hope is that this community can grow and develop in both these disciplines together in order to create more functioning, balanced, sane and playful humans here in Ottawa.